The changing of seasons can be a beautiful time for many as people can travel around to check out the changing colors of the leaves while enjoying warm apple cider or hot cocoa. However, one aspect of fall and winter that is less than pleasant to think about is the germs that get spread through offices, homes, schools and more. There is perhaps nothing worse than waking up with a sore throat or a stuffy nose, and if your friend recently came down with a bug, there are a few ways to cheer him or her up. A great way to help out a friend during his or her time of need is to send over some homemade soup. Soup is perfect for helping someone recover from an illness as the thin broth and nutrients from the vegetables and protein is sure to boost your sick friend's immune system. If your friend is battling something more serious like the flu or even pneumonia, it may be a nice gesture to send over get well soon flowers to try and cheer the friend up. 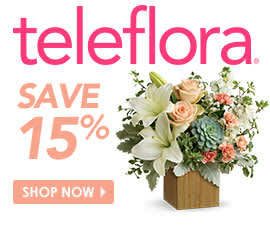 A collection like Teleflora's Bee Well Bouquet may be perfect. This arrangement of sunflowers and white daisies comes with a bee nurse stuffed animal that is sure to put a smile on your friend's face.